France has a long history with jazz music. 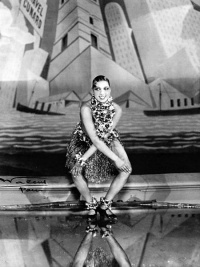 Jazz began to become significant in France starting in the 1920s. As with Brazil (see Brazilian jazz), the French were at first concerned it was too American of an influence before "making it their own." Although in the case of the French the adjustment proved faster as by the 1930s jazz had become acceptable. An important event in that is the creation of the Quintette du Hot Club de France in 1934. This is among the most significant jazz groups in European history. Starting in the late 1940s the Le Caveau de la Huchette would become an important place for French and American jazz musicians to work. Many American jazz artists have lived in France from Sidney Bechet to Archie Shepp. These Americans would have an influence on French jazz, but at the same time French jazz had its own inspirations as well. For example Bal-musette had some influence on France's form of Gypsy jazz. In a related vein violin, and to an extent guitar, were traditionally more popular in French jazz than American. Related to that Jean-Luc Ponty and Stéphane Grappelli are among the most well-respected violinists in the history of jazz. That stated the violin is also popular in Eastern European jazz. Unless indicated otherwise, the text in this article is either based on Wikipedia article "French jazz" or another language Wikipedia page thereof used under the terms of the GNU Free Documentation License; or on original research by Jahsonic and friends. See Art and Popular Culture's copyright notice. This page was last modified 19:48, 3 August 2014.